Greetings from Kettle River Ironworks! Steve and I have been busy creating new products and updating some of our existing products. Make sure you check out our New category on the web site often. This is one of our newest designs. 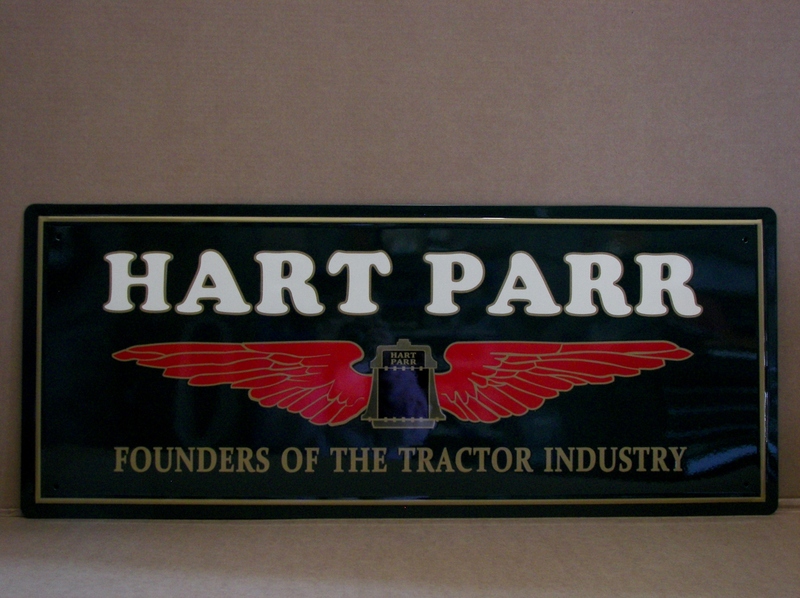 This sign boasts beautiful colors of gold, red, Hart Parr green and antique white. It is approximately 15 X 36 and can be hung outdoors as well as indoors. We are quite pleased with the way it turned out. We have also tweaked our Oliver "Finest in Farm Machinery" sign by embossing the OLIVER lettering at the top. It gives the sign so much more dimension. No photo available at this time as they are still in the clear process. We will get one posted as soon as possible. We will soon be back on the road and are looking forward to seeing our old friends and making new ones. Stop by and visit us if you have a chance.